Now this is a strange mix. 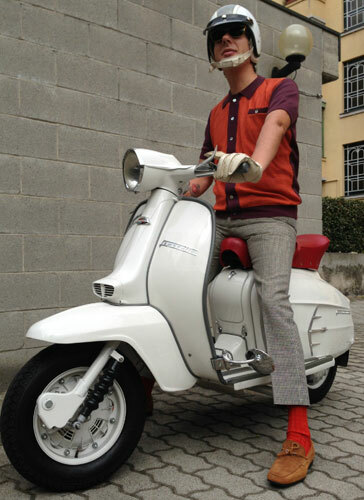 An icon of the 1970s mixes it with something with a distinctly 1960s flavour. 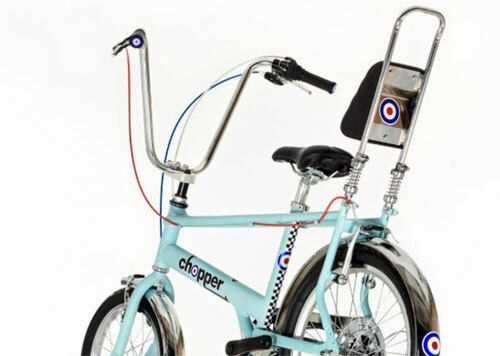 The end result is the mod-inspired 2015 Raleigh Chopper. 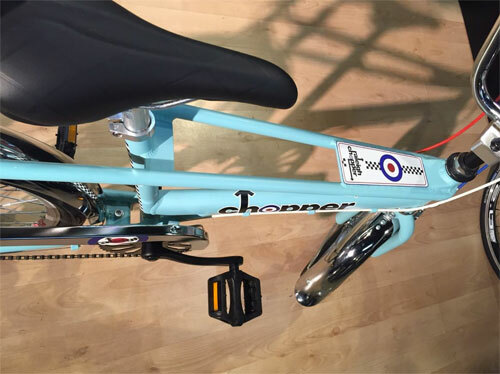 A limited edition of (we think) 400, it has a theme inspired by imagery from the mod scene (targets aplenty obviously), sitting on a bike that’s not quite like the one you might remember as a child. Different seat (that’s a health and safety thing) and different gears. 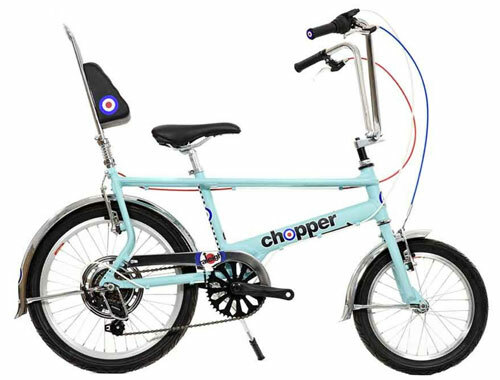 But the modern Chopper does have a similar overall look. I guess if it’s not close enough you could always buy a vintage one off eBay and customise it yourself. 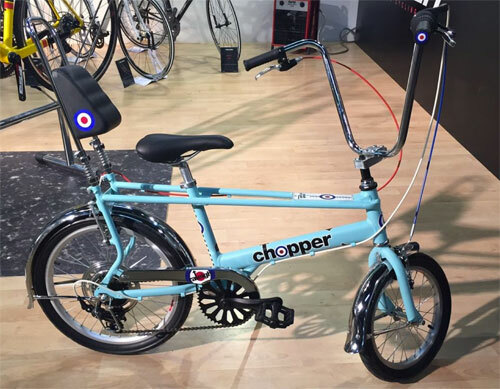 However, this Chopper does have Shimano 6 speed Revoshift gears, hanger bars, aluminium V-brakes, classic 16″ front, 20″ rear motorbike styled Chopper tyres, cruiser-style mudguards, as well as an aluminium kickstand. 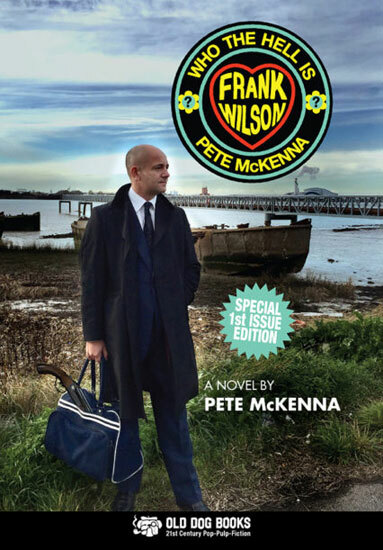 If you decide you need this in your life, the price is £260.